Over the past half-decade, the Washington Redskins have been mediocre at best on defense. 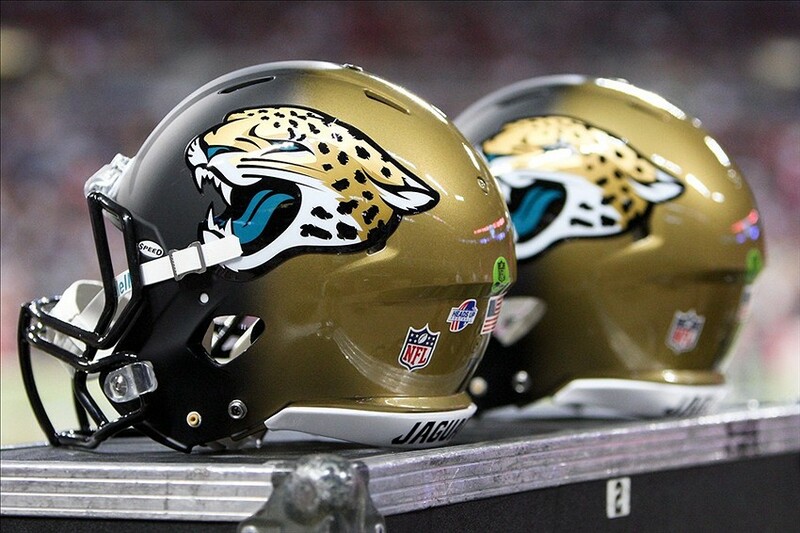 Their pass rush and run stopping ability to be exact. Washington have drafted and signed players to plug these holes, but it has not worked. On average, the Redskins have ranked 17th in the league in stopping the run, and 19th in the league getting after the quarterback. In a division that hoists a two-time Super Bowl MVP QB, blossoming young guns at QB, and a rookie that led the league in rushing, Washington doesn’t have any time to wait. 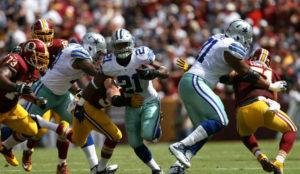 Just last season, Washington gave up the ninth most rushing yards and fourth most rushing touchdowns. As a whole, the team gave up 21+ points in 10 of their 16 games in 2016, and ranked 19th in the league with 24 ppg against. Washington has a bell cow in terms of rushing the QB in Ryan Kerrigan. Since 2013, the six-year veteran has led the team in sacks. He can’t do it alone though. Towards the end of his tenure in D.C., Brian Orakpo was often injured. When he left, via Free Agency, Washington tried to fill his spot, but has struggled. One player that was brought in was Junior Galette. The two years being with the organization though hasn’t seen Galette make it out of training camp. In 2015 and 2016, Galette was sidelined for the season due to two torn Achilles. 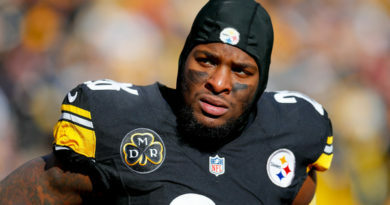 , sidelining him for the season. Enter Ryan Anderson. The 6’2”, 253lbs LB was a force to be reckoned with at Alabama. 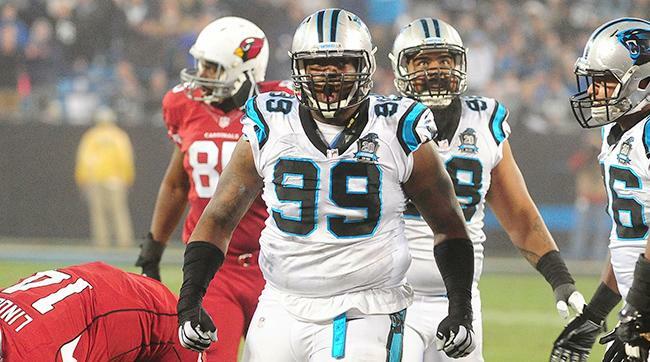 In his three years as a full time starter, Anderson racked up 123 tackles to go along with 17.5 sacks. This is just the production Washington needed and they knew that going into the 2017 NFL Draft. With the 49th pick, Washington selected Anderson. The fit is perfect. Also, the group of guys he can learn from is perfect. This is one of those picks that was a match made in heaven. 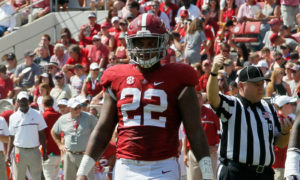 Anderson has been called “The nastiest on the team” by his former teammates and coaches at Alabama. In a recent interview, Nick Saban said “”It was never a negative. He was never a guy that got a lot of emotional, undisciplined penalties.” The famed head coach went on to say “He’s a real strong competitor, great character, and plays hard. He tries to dominate the guy he’s playing against.” The former Rolling Tide was always around the ball, always making plays, basically doing the dirty work. That is the ideal player for Defensive Coordinator Greg Manusky. 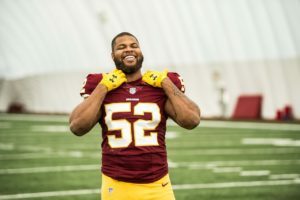 If the play from Alabama translates to the NFL, Anderson is going to make an immediate impact on Washington’s defense. His QB prowess makes him a nightmare for opposing signal callers while is nack at stopping the run makes him a complete LB. Of his 128 career tackles at Alabama, 40 of them were for a loss. To sweeten the pot a little for Washington, Anderson also forced six fumbles while at Alabama. Those turnovers will be an instant impact, as Washington has averaged 22 takeaways over the past three seasons ranking them 17th in the league. One of the best attributes he will bring to Washington is a winning mindset and attitude. 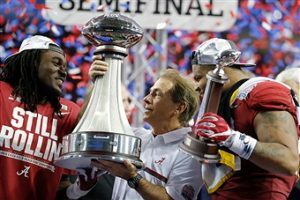 In his four-year career at Alabama, Anderson went 41-3, made it to two national championship games, and won one. For a team that has made it to the playoffs just two times in the past nine seasons, this will also be big for the mindset in the locker room. Nobody is saying Anderson’s rookie year is going to be easy or that he is going to lead the team in all categories. 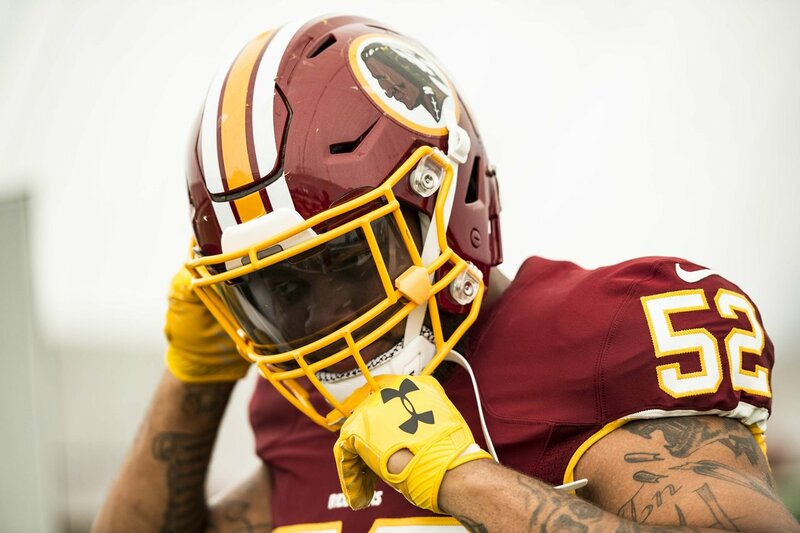 All rookies go through growing pains as the season goes on, but one thing is for certain, Anderson will make an immediate impact on the Washington Redskins defense.